The execution of Kasab was carried out in top secret with only a handful of persons in the know. Home Minister Sushilkumar Shinde signed Kasab’s file after President Pranab Mukherjee rejected his mercy plea. Then began Operation X. Keeping everything secret, the Indian Government had decided that it would inform Pakistan about Kasab's hanging only 48 hours before the actual execution. On November 5, President Pranab Mukherjee rejected Kasab’s mercy plea. That kicked off "Operation X". Following the execution of Ajmal Kasab, the old dispute between the Maharashtra Government and the Centre over the expenses incurred on guarding him has come to the fore. Calls for speedy hanging of 2001 Parliament attack death row convict Afzal Guru grow louder after the execution of Ajmal Kasab today with Opposition BJP leading the charge. “The hanging of Kasab is a victory for India. We have sent out a message that we will not tolerate terror attacks on our soil. We have proved that the entire conspiracy was hatched in Pakistan,” Special Public Prosecutor Ujjwal Nikam, who represented the government in the trial against Kasab, told reporters here today. Fourteen mercy pleas filed by death row convicts are stuck at various stages of decision making. President Pranab Mukherjee has referred back seven of these, including Parliament attack convict Afzal Guru’s plea, for consideration by the Union Home Ministry. While militant organisations, including the banned Lashkar-e-Taiba (LeT), condemned the execution of Ajmal Kasab, the reaction at the government and media levels was muted and largely tended to play down the event. Announcing the commencement of 20 train services passed in the budget, Railway Minister Pawan Kumar Bansal today stressed on the need of making rail fares free from political influence. The Ministry of Defence will be looking for an additional Rs 2,000 crore for completing the first phase of the under-construction indigenous sea-borne aircraft carrier being built at Cochin. The postmortem reports based on the autopsies conducted by a team of doctors at the All-India Institute of Medical Sciences have revealed that Ponty Chadha had suffered seven bullet injuries on the chest, abdomen and legs, while his brother Hardeep Chadha was hit by two bullets, which went through his body. With the deadline under the Right to Education Act just four months away, Human Resource Development Minister MM Pallam Raju today said the government was committed to meeting the target and not thinking of extending the deadline. A revolt appears to be brewing in the ruling Congress with the Telangana protagonists planning to break away from the party and float a new outfit to fight the 2014 General Elections. 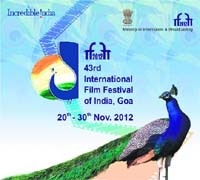 Day Two of the 10-day International Film Festival of India, Goa, was no less eventful. Back-to-back interactions with the cast and crew of Life of Pi, including the producer of the film David Womark, and celebrated South Korean filmmaker Kim Ki Duk whose film Pieta has won the Golden Lion award at the Venice Film Festival were some of the highpoints of the day. The outlawed Bodo tribe militant outfit National Democratic Front of Bodoland (NDFB) led by president Ranjan Daimary, now lodged in jail, has split with his lieutenants constituting a new ‘national council’ of the outfit in the latest general meeting of the organisation. Four army personnel, including a Major, have been indicted by a Court of Inquiry (CoI) into a case of alleged sexual exploitation of women in Congo during their deployment under a UN mission in 2007-08. Special Inspector General Deven Bharti led a 16-member team who took charge of Kasab from Mumbai’s Arthur Road Jail, sources said. Apart from Bharti, only a handful of police officers, including state Director General of Police Sanjeev Dayal, Mumbai Police Commissioner Satyapal Singh, Inspector General of Prisons Meera Borwankar and the jailor of Yerwada Jail Yogesh Desai were informed about Operation X. The ITBP personnel guarding Kasab were not told of the impending execution. At the same time, a professional hangman from Nagpur was brought in and he began preparing the rope to hang Kasab. Officials say it takes several days for the rope to be made. It is treated under a traditional process so that is smooth and strong enough for the hanging to be carried out as painlessly as possible. On Monday night, Kasab was moved to Pune in absolute secrecy. Officials said Kasab, accompanied by senior police officials, was taken to Pune in a special flight and taken to Yerwada Central Jail. The pre-execution procedure prescribed in the Jail Manual was put in place once Kasab landed in Yerwada Jail. According to rules, prisoners on death row must be examined by a doctor 24 hours before the execution and a medical certificate declaring him or her fit for the hanging must be obtained. Jail officials are also required to inform the convict that all legal remedies to save him or her have been exhausted. Then the convict is asked for his last wish and also about his next of kin or anyone who need to be informed after the execution. In the hours preceding the execution the convict is kept under watch to prevent any suicide attempt. After the execution, the body is handed over to the next of kin. 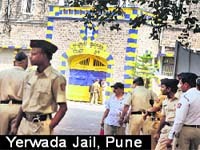 However, since no one came to claim Kasab's body, it was buried at Yerwada Jail, officials said. 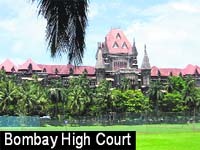 april 17: Kasab’s confession opened in court, he retracts. 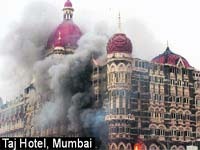 may 6: Charges framed, Kasab charged on 86 counts, but denies charges. 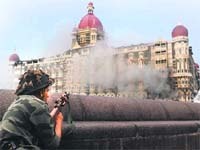 may 8: First eyewitness deposes, identifies Kasab. 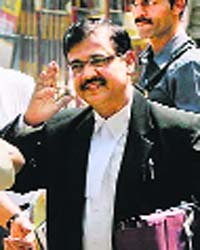 nov 30: Abbas Kazmi removed as Kasab’s lawyer. march 31: Arguments in the case end. Special Judge M L Tahaliyani reserves judgement for May 3.
april 25: SC reserves verdict after a marathon hearing, spanning over two-and-a-half months. nov 8: Maharashtra govt informed about President’s decision. Keeping everything secret, the Indian Government had decided that it would inform Pakistan about Kasab's hanging only 48 hours before the actual execution. On November 5, President Pranab Mukherjee rejected Kasab’s mercy plea. That kicked off "Operation X". The secrecy of the operation hinged on code "C/7096" — the reference number for Kasab in official communication. Even when he was shifted from Mumbai to Pune on November 19, the same code was used to identify him. On November 10 the Maharashtra Government and the Centre held discussion to take the matter forward and marked November 20, 21 as the possible date for Kasab’s hanging. Kasab was told about the date of his hanging on November 12. Yesterday, the Indian High Commissioner in Islamabad informed the Pakistan Foreign Office. Ever since he was arrested on November 26, 2008, Kasab was guarded by a 250-man contingent of the Indo-Tibetan Border Police (ITBP) in addition to personnel from the Maharashtra Police. The daily expenses incurred by the ITBP have been pegged at Rs 3.5 lakh per day. Maharashtra has been billed Rs 31 crore towards its share of ITBP's expenses. However, the state government is refusing to pay up citing a financial crunch . Home Minister RR Patil said the state government was not in a position to pay up. "We have said in the past and we are saying it again that the 26/11 terror attacks were not an attack on Maharashtra alone but on the entire country. So Maharashtra should not be asked to bear the expenditure. However, we have not heard anything from the Centre," Patil said. Patil's reactions came amidst reports from New Delhi which suggested that the Central Government may recover payments towards the ITBP from Maharashtra's budgetary allocation. The state home department officials here pointed out that its budget for prisons amount to Rs 135 crore this year and there were no funds to pay the ITBP from the state's coffers. Congress general secretary Digvijay Singh also wanted the government to "expedite" the decision on the issue of Afzal Guru, who was sentenced to death in 2004. President Pranab Mukherjee, meanwhile, returned seven mercy petitions, including that of Guru, for consideration of the Home Ministry. Shinde himself refused to say anything on when a decision on Guru would be taken. "What about Afzal Guru, who attacked Parliament, our temple of democracy, in 2001? 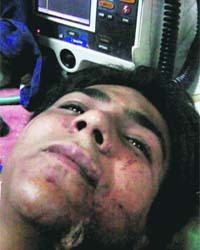 That offence predates Kasab's heinous act by many years," Gujarat CM Narendra Modi tweeted. 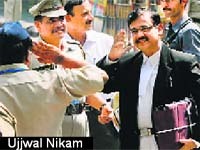 Nikam said he had not seen such a clever criminal (as Kasab) in his long career. “He was very shrewd and intelligent,” he said. According to him, Kasab was indoctrinated thoroughly by his handlers but his arrest thwarted attempts by the Pakistani agencies to prove that the attacks were organised by Indian Muslims. “The terrorists wanted to conceal the identity of Pakistan so that communal harmony in India was disturbed,” Nikam said. He said the trial pertaining to the 26/11 terror attacks was not yet over as Abu Jundal, who was deported from Saudi Arabia recently, was still to be convicted. “We will pursue the trial against Abu Jundal vigorously,” Nikam said. Official sources say it is a normal procedure for the President to refer back all pending mercy petitions for consideration whenever a new Home Minister takes charge. In this case, Sushilkumar Shinde took over as the Home Minister on August 1. Apart from the seven mercy petitions referred back to Shinde, five other are also being processed by the Home Ministry. Two other are pending for consideration by the President, making it a total of 14 pending petitions. The referring back of seven petitions to the Home Ministry aimed at informing the present Home Minister what decisions his predecessor P Chidambaram had taken in those cases. Now, opinion of Shinde is being sought in all seven cases. All these seven mercy petitions were earlier sent to the President, incorporating opinion of the state government concerned and the Home Ministry’s recommendations, for final disposal. As per law, the MHA processes mercy petitions, gives its remarks and the President acts on them. The decision of the President is final and binding on the government. Article 72 of the Constitution doesn’t prescribe any time limit for the President to take decision in such cases. If the President takes “too long”, the Supreme Court can remind him about the delay. In case of Afzal Guru, the Delhi Government and the Home Ministry had recommended that the mercy petition filed by his wife be rejected by the President, sources said. In May 2011, the President had rejected the mercy petition of Davinder Pal Singh Bhullar. A petition has been filed by his family before the Supreme Court saying he has already undergone a term of 20 years in prison and hanging him now will be like double punishment. As per the 2011 report of the National Crime Records Bureau (NCRB), around 400 convicts, including 10 women, face death penalty across the country. These persons await endorsement or remittance of their sentences from the high courts to the Supreme Court. The Foreign Office reiterated that Pakistan position on terrorism has been very clear and consistent and it condemns all forms of terrorism. “We are willing to cooperate and work closely with all countries of the region to eliminate scourge of terrorism,” Foreign Office spokesman Moazzam Ali Khan said. The LeT, accused of master-minding the attack, hailed Ajmal Kasab as a “hero” and martyr and warned that the hanging would provoke more attacks. “He was a hero and will inspire other fighters to follow his path,” a senior LeT commander told Western news agencies by telephone. The Tehrik-i-Taliban Pakistan (TTP) also expressed shock and described Kasab’s death a “big loss” saying “a Muslim has been hanged on Indian soil”. The largely muted initial reactions were explained by analysts as reflecting a desire that it would end a bitter chapter. Kasab’s confessed role in the Mumbai attack had become an awkward embarrassment. Most TV channels, including the popular Geo, broke the news but studiously offered little comment. Jalandhar: The Border Security Force (BSF) has sounded a general alert along the India-Pakistan border after the execution of Ajmal Kasab and intensified surveillance and patrolling. The alert has been sounded especially in Gurdaspur district, which shares its border with Pakistan and Jammu and Kashmir. Inspector General, BSF, Punjab Frontier, Aditya Mishra said the alert will continue for 24 hours. Addressing his first official press conference here, Bansal, who kept insisting that he was still trying to gain a foothold in the public sector behemoth, was evasive when asked whether he would revise passenger fares to boost the financial health of the national transporter. He said there was need to de-politicise the issue and formation of the Rail Tariff Regulatory Authority was under consideration. He did not put a time-frame to the setting up of the authority, for which he said active discussions were underway. "We need to address the issue of fare hike, but there is a need to de-politicise it. As soon as we decide the framework of the authority, we will tell. As of now, I cannot tell about the timeline," Bansal said. We are discussing about the authority in the ministry. After the inter-ministerial discussion, we will go to the Cabinet, he said. Pointing out the difference in passenger tariff ratio to freight which is around 0.32 to 1 in India and 1.32 to 1 in China, the minister said the growth in the railway sector could contribute to the national GDP by 2 per cent. 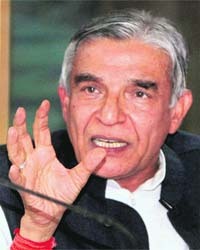 Bansal said financial health of the Railways is of paramount importance to him. Railway finances have been a cause of concern as the transporter has been spending all its revenue on just running the network, leaving little for development projects. "We are trying to work out some revenue models, including involving private investment," Bansal said. He said the Railways is facing tremendous pressure in the form of increasing demand on services. He admitted that there was need to improve the present state of affairs. This even as Defence Minister AK Antony on Tuesday told senior functionaries of the ministry to compress schedules and warned “we cannot go on hearing excuses for the delays”. The warship construction is running 5 years behind the schedule of delivery in 2013. Antony formed an Empowered Apex Committee under Defence Secretary Shashikant Sharma and it is tasked to constantly monitor the progress of the aircraft carrier. The first stage of the carrier was to cost Rs 3,261 crore as per the estimates finalised in 2003 and construction started in 2005. It will be impossible to complete the first phase in that cost, said sources. The Ministry of Defence will approach the Finance Ministry and the Cabinet Committee of Security for additional fund of Rs 2,000 crore. Out of the first payments, Rs 230 crore has been spent on modernisation of the Cochin shipyard. Since a modular-style construction has been adopted, it is possible to work on other equipment at another site. Antony told the shipyard officials to come up with firm date and estimates for finishing the first phase of the contract. The exact number of people involved and the rounds of bullets fired in the shootout, which killed the liquor baron and his younger brother on Saturday, are yet to be ascertained. The report was submitted by the team to the investigating officer, Mehrauli SHO Jarnail Singh, today. While three bullets passed through Ponty’s body, four others remained lodged and were retrieved in two rounds of autopsies on Sunday. The three bullets that the doctors had retrieved during the second autopsy were stuck superficially and were apparently missed by the doctors as they looked for them deep within the body. The doctors had handed over the bodies apparently after pressure from the family and friends of the deceased. “The police was told about the X-ray scan showing three more bullets, but due to social reasons and pressure from the family, which had set 4:30 pm for cremation, the body was released. But realising the implications of the leftover bullets, the police reconsidered the decision and brought the body back within half an hour to retrieve the remaining three bullets,” a source said. The nature of injuries on Ponty’s body suggested that he was shot from the front while he was standing and even when he fell down. The bullets were lodged inside the body at different angles. No bullet was found in Gurdeep’s body, as both had passed through. One of the bullets went through his lung, leading to his death, the report said. 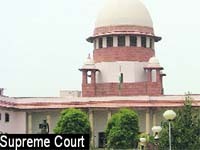 New Delhi: Taking suo motu cognisance of the of the Ponty Chadha incident, the Supreme Court on Wednesday sought explanation from the Centre about the norms for issuing gun licences to private security persons and how agencies engaging them are being regulated. This when 96 per cent of elementary schools in India are yet to meet infrastructure targets stipulated under the law and there is a shortage of 13.5 lakh teachers. Raju, however, said the challenge of meeting the deadline would not deter the government from exhibiting its commitment to achieving the same. He didn’t give away any plan on how he proposed to meet in four months targets that had not been met in three years. “Commitment to meet the deadlines is the plan,” he said when asked about the way to achieving the dream. He said states would be “inspired, coaxed and threatened” to meet March-31 deadline. “We will have to display the will to meet the deadline. If we continue to extend the deadline, it won’t serve any purpose,” Raju said, ruling out the debate on the extension of the RTE Act deadline beyond March 31, which his predecessor Kapil Sibal had set. Sibal was planning to amend the RTE Act in the winter session to extend the RT deadline and save the government from court cases in the event of non-achievement of targets. On overcoming the shortfall of teachers in schools by March next year, the minister said: “The 12th Plan has approved a National Teachers Mission worth Rs 6,000 crore to focus on quality of teacher training.” The plan, however, is yet to be approved by the National Development Council, which will meet in December. The idea of a new political front is gaining ground among Congress leaders from Telangana who are growing restive over the indecisiveness of the party high command over the demand for a separate state. A group of senior party MPs from the region has been holding confabulations to chalk out the future course of action in the event of the UPA government rejecting the statehood demand. The MPs, state ministers and legislators from the Telangana region have been mounting pressure on the Congress leadership to take a favourable decision on carving out a new state in deference to the wishes of the people of the region. However, their efforts have not yielded any results so far as the Centre is not keen on taking any decision on the contentious issue for fear of opening a Pandora’s box leading to similar demands from various regions across the country. Some disgruntled Congress MLAs and MPs have mooted the idea of forming a new outfit called “Telangana Congress Front” and aligning with the Telangana Rashtra Samithi (TRS), a dominant political force in the region, for the coming elections. Fearing that the Congress would be decimated in the region if it failed to grant the statehood, they are planning the exit strategy. "The time is running out and our patience cannot be tested anymore. The MPs have decided to write a final letter the party president urging the high command to come clear on Telangana before December 9. If she fails to respond, I think the high command must blame itself for further consequences," said senior Telangana Congress leader and former MP K Keshava Rao. Setting off ripples in political circles, Rao today called on the TRS chief and MP K Chandrasekhar Rao at the latter’s residence and the two leaders were understood to have discussed various political options to carry forward the fight for a separate state. “We will take a decision on our future course once our party rejects the Telangana demand,” Rao said after the meeting. Earlier, seven Congress MPs from the region met here yesterday to discuss their future course of action. The meeting assumed significance in the wake of reports that several Telangana Congress MLAs and other leaders were contemplating switching their loyalties to either the TRS or the YSR Congress Party, headed by jailed MP YS Jagan Mohan Reddy, to safeguard their political future. The opening of the Indian Panorama that includes 20 feature and 19 non-feature films and an interactive exhibition chronicling the 100 years of Indian cinema by the Film Division of India too marked the proceedings on the day after the inauguration of the 43rd edition of the IFFI. Om Puri opened the Indian Panorama that saw the screening of the non-feature film Celluloid Man based on Indian archivist PK Nair and directed by Shivendra Singh Dungarpur. A simple inaugural ceremony preceded the screening of the Indian panorama feature film Baandhon that is Waves of Silences directed by eminent Assamese director Jahnu Barua. The National Award winning forceful film set against the backdrop of 26/11 Mumbai attacks, providing a peep into the trauma of the common man, peppered with delightful humour, caught the imagination of viewers. So did the South Korean director Duk’s film Pieta that saw a full house theatre. Dubbed by some as violent and some as forgiving, the disturbing film anyway made for compelling viewing. Earlier in the day facilitated by an interpreter Duk, the maker of films like Spring, Summer, Fall, Winter and again Spring, shared his process of making cinema that germinates from his dreams and ideas. He also asserted that he doesn’t believe men are black or white. His endeavour always remains to try and understand people, particularly blue-collared workers, as they are. This has virtually watered down the efforts to bring the outfit to negotiation with the Government of India. Peace interlocutor PC Haldar has been talking with Daimary in jail in order to bring the outfit to negotiation. The latest development has virtually negated the on-going peace overtures. Army Chief General Bikram Singh said today CoI into the case has been completed and the DNA sample of one jawan has matched with one of the kids allegedly fathered by Indian troopers in Congo. Three persons will face administrative actions for Command and Control failure and the jawan will face disciplinary action, Gen Singh said.